King Felipe and Queen Letizia presided over the traditional meeting and offered lunch in the hall of Gasparini of the Royal Palace of Madrid prior to the ceremony of delivery of the Castilian Literature Prize “Miguel de Cervantes” 2017, next Monday, April 23rd at the University of Alcalá. The Cervantes Prize will bring together authorities, academics, publishers, critics, professors, booksellers and writers, in tribute to the winner of the edition corresponding to the year 2017, the Nicaraguan writer, Sergio Ramírez. The “Miguel de Cervantes” Award is the highest recognition of the creative work of Spanish and Latin American writers. This award, granted by the Ministry of Education, Culture and Sports, annually gives public testimony of admiration to the figure of a writer who, with the whole of his work, has contributed to enrich a remarkable literary heritage in the Spanish language. 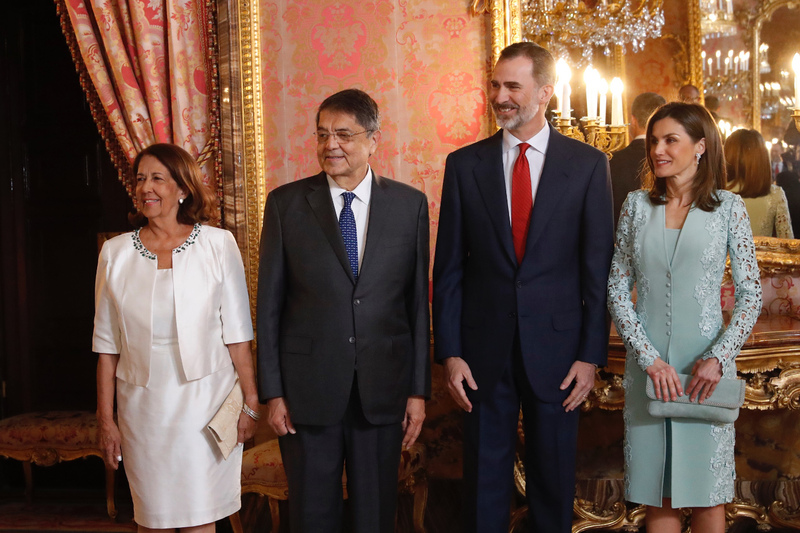 Speaking at the event King Felipe said, “this Cervantes Prize that goes back to Hispanic America and that magnifies the universality of our literature, also reminds us of the importance of appealing to what unites us across all frontiers. Culture in Spanish operates as a bond that embraces, that broadens horizons, that brings people together looking for what they share and above their differences”. 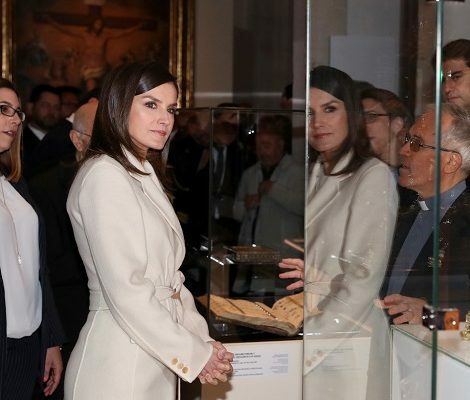 For the day, Queen Letizia chose to bring back the elegant piece designed by the royal designer Felipe Varela. 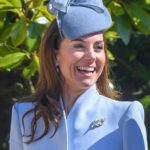 The Aquamarine coat, detailed with guipure on the sides and on the sleeves featuring central buttoning with v-neckline comes with a simple straight dress. The bespoke piece was premiered on the communion of Infanta Sofia in 2017. This time Letizia paired the outfit with the suede aquamarine handbag and cross-strip shoes from Magrit. 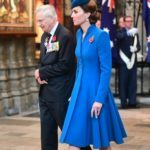 Both shoes and handbag has detailing of small studs on it and are new addition to Queen’s extensive wardrobe. Letizia finished her look with a pair for diamond floral-shape earrings. 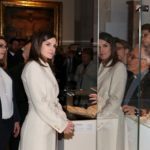 April seems to be a busy month for Letizia. 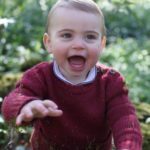 After having a full week of various royal activities Queen is set for another week of engagements. We will see her on Monday for the delivery of Cervantes Prize.